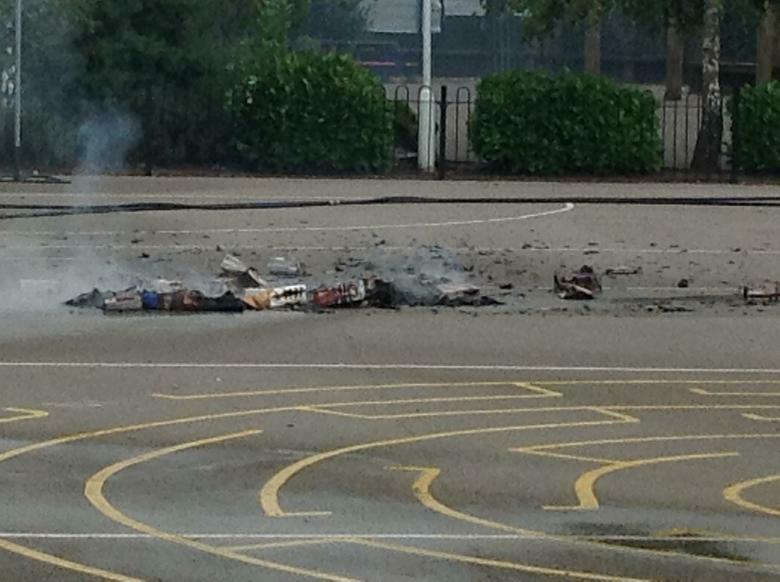 The Great Fire of Loughborough. 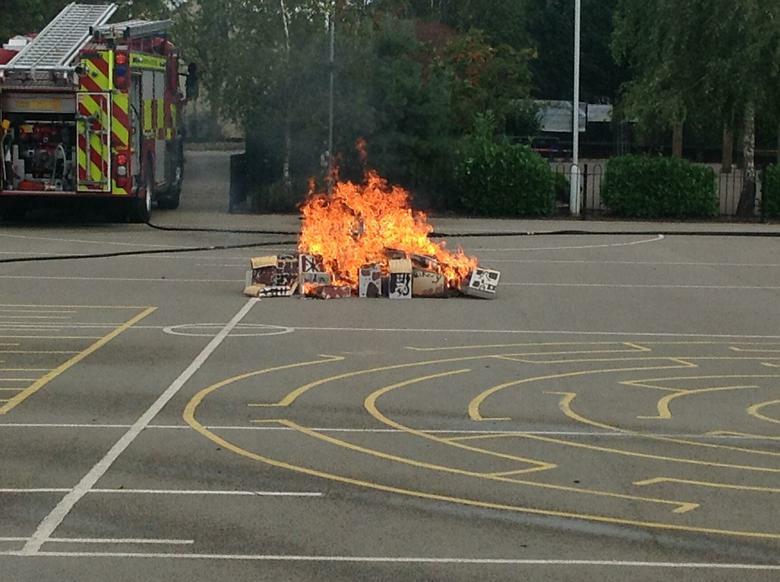 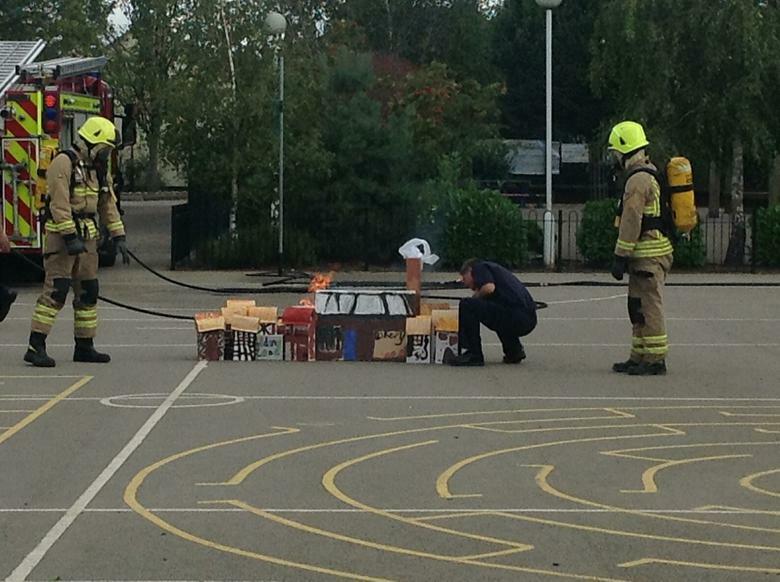 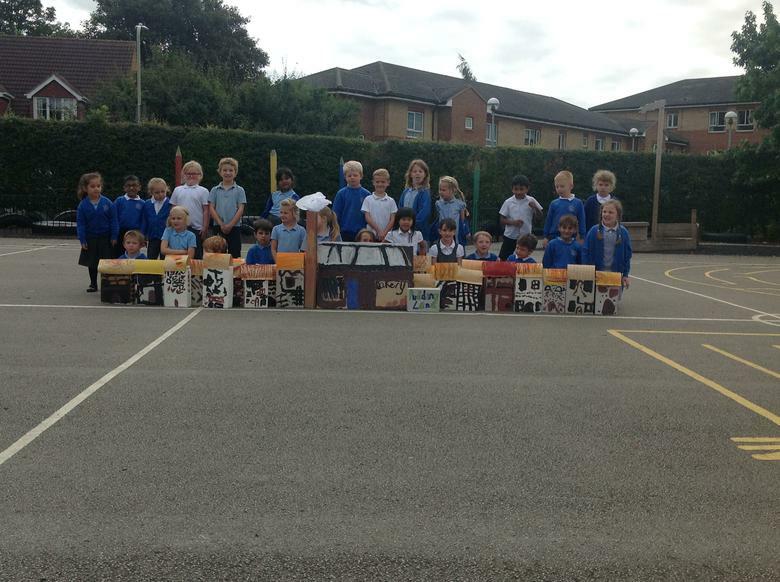 In our History lessons this term we have been finding out all about ‘The Great Fire of London’. 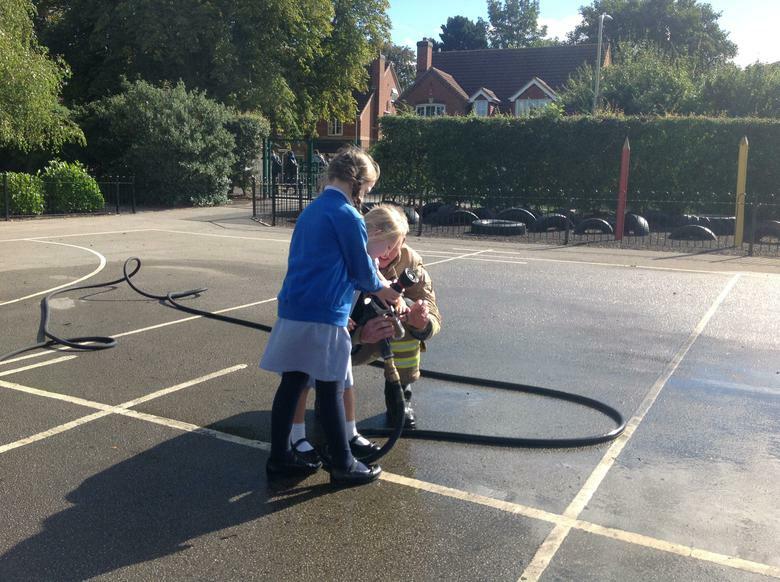 We have thought about the reasons why the fire spread so quickly and the differences between life today and life in 1666. 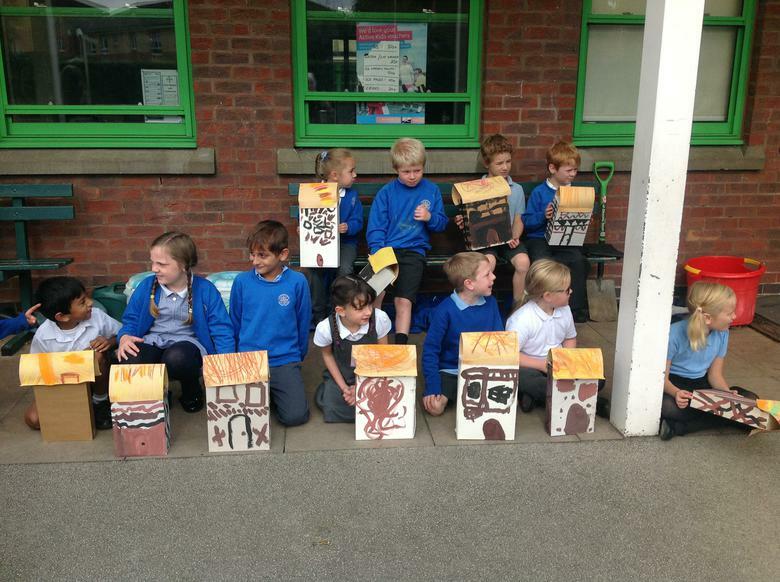 As part of these lessons we built models of houses from 1666. 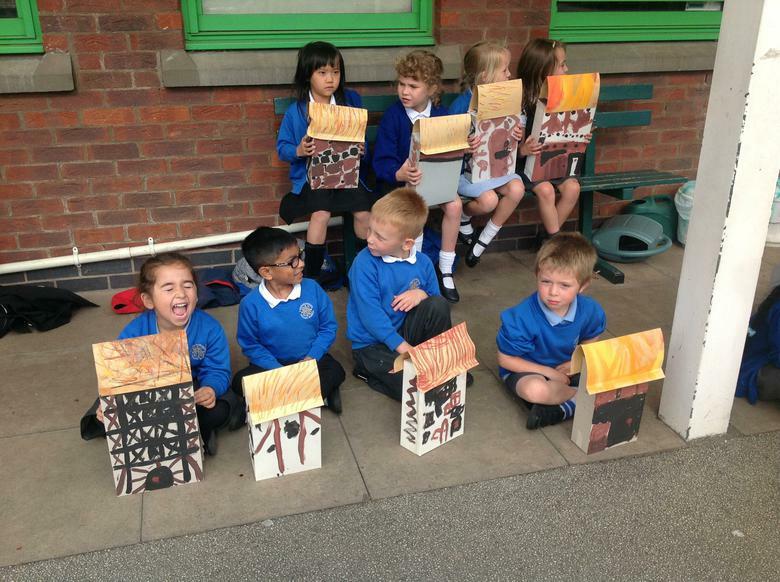 Each child decorated their own house and created a roof. 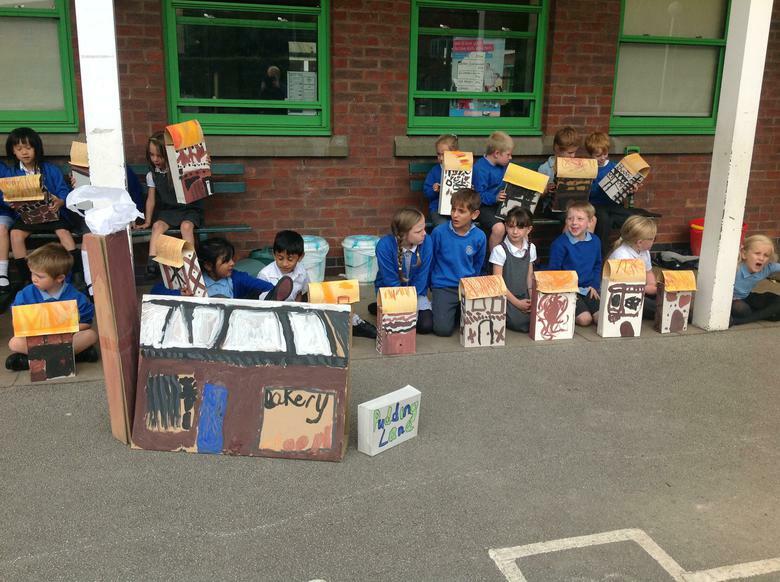 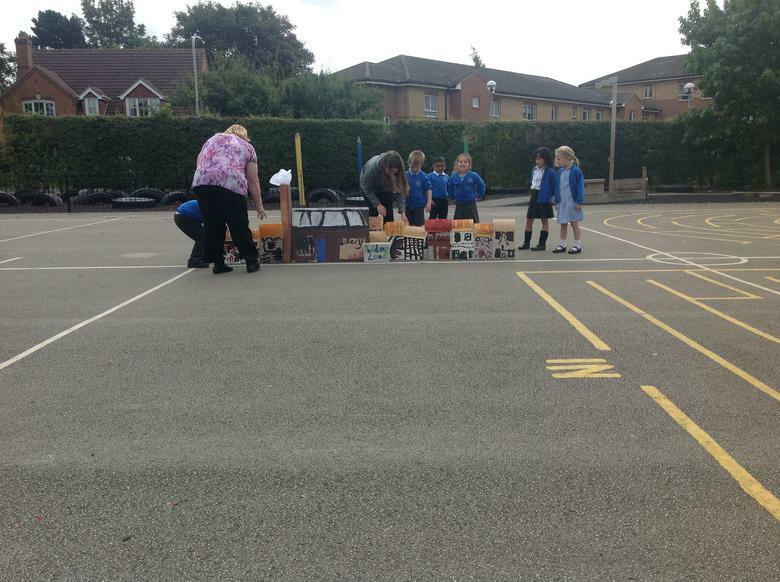 We also had a team of children creating ‘the bakery’ from Pudding Lane, as this is where the Great Fire started. 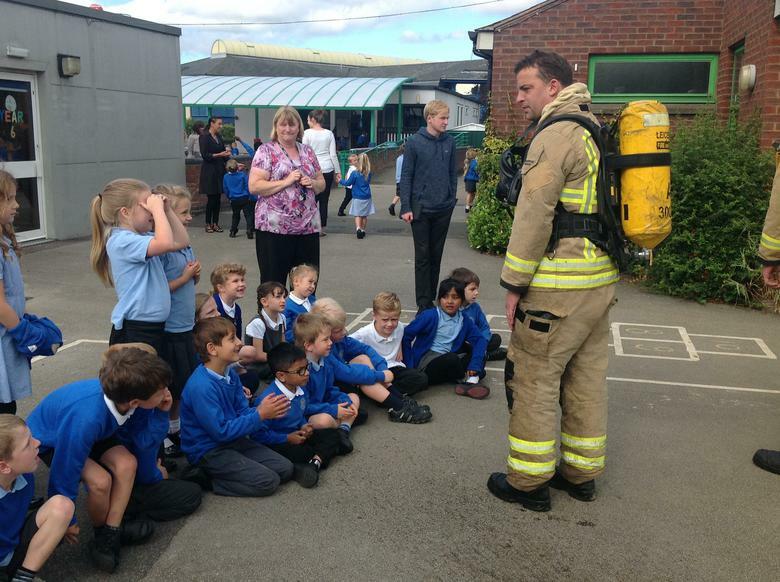 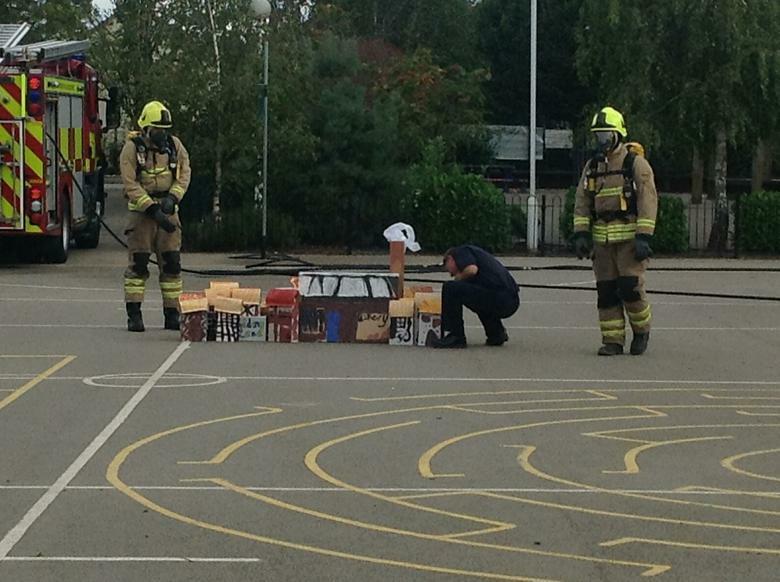 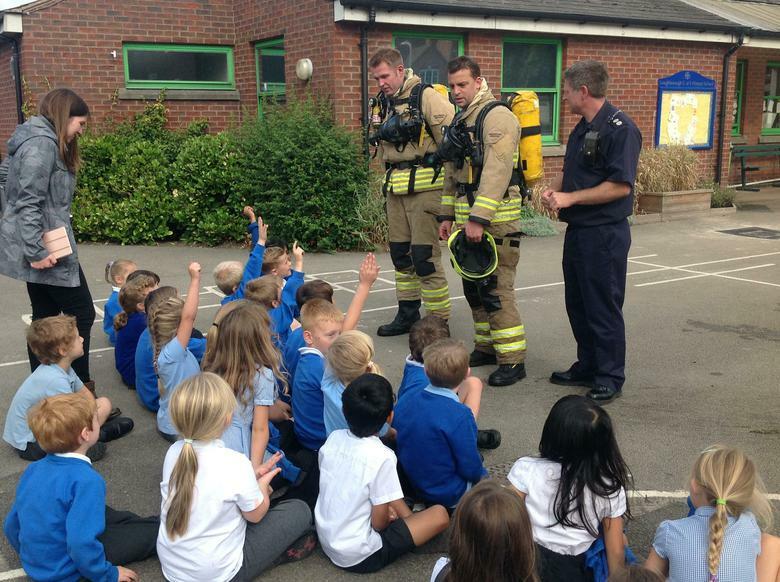 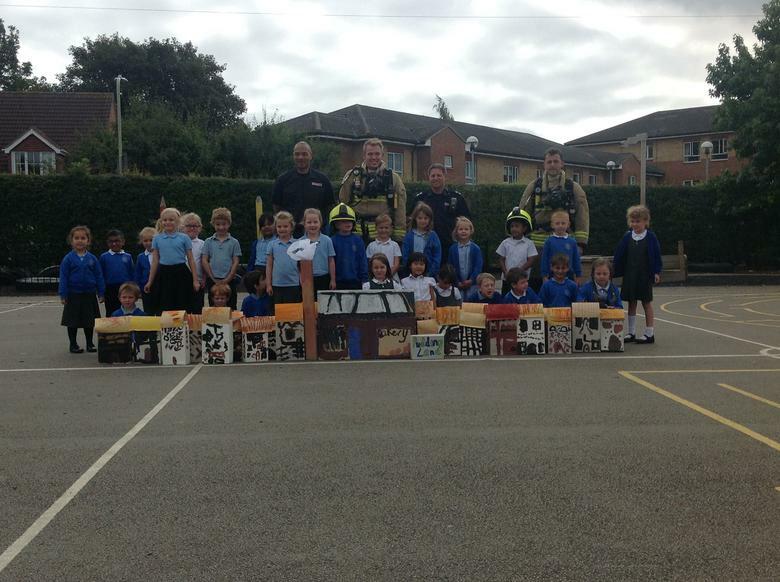 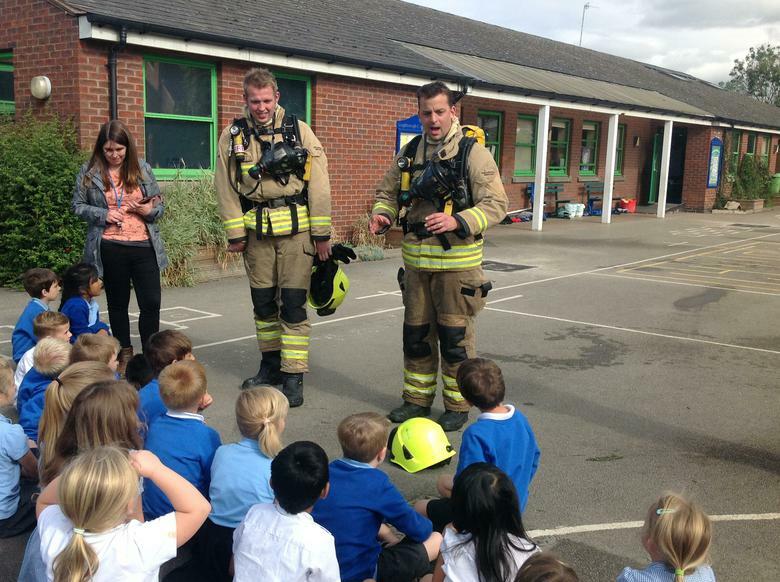 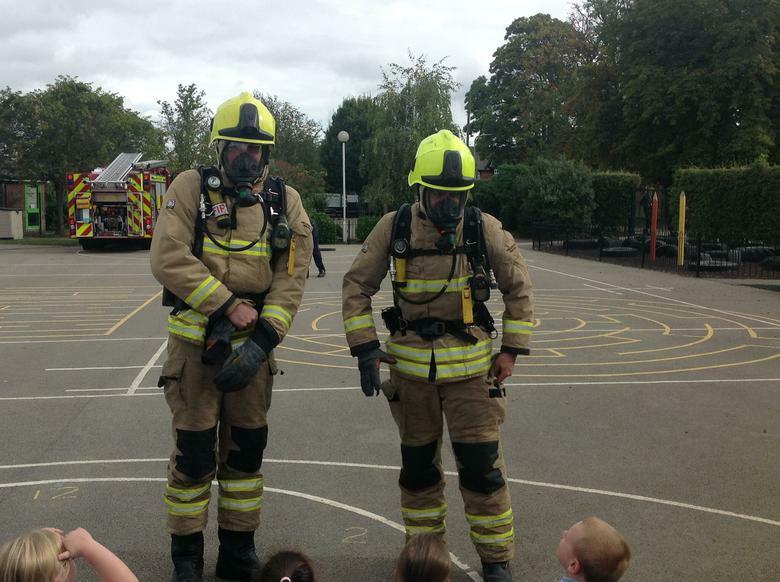 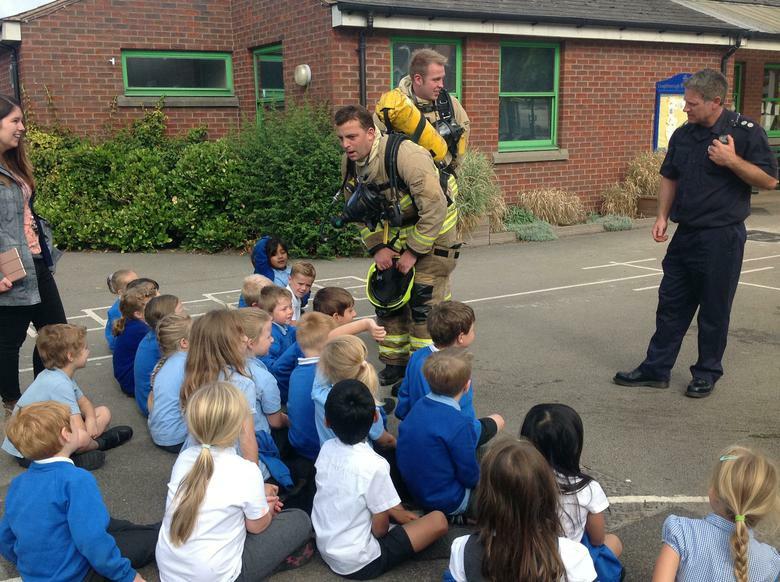 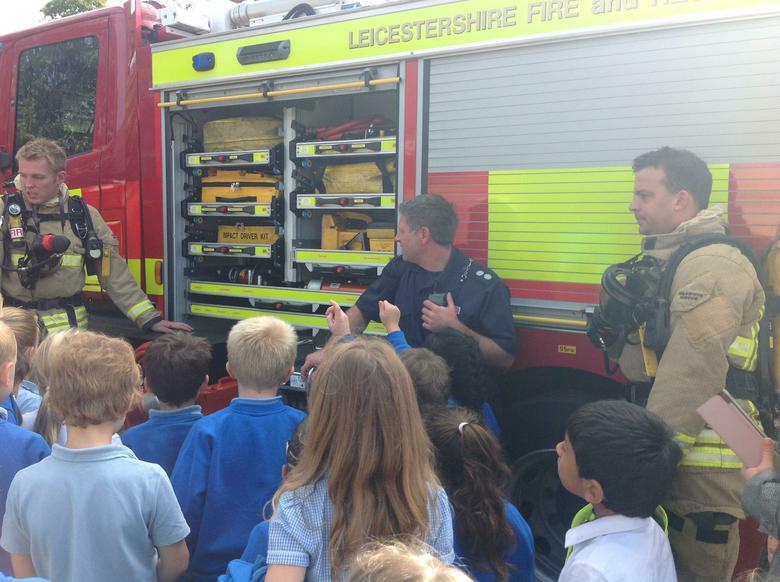 The Loughborough firefighters came to visit us. 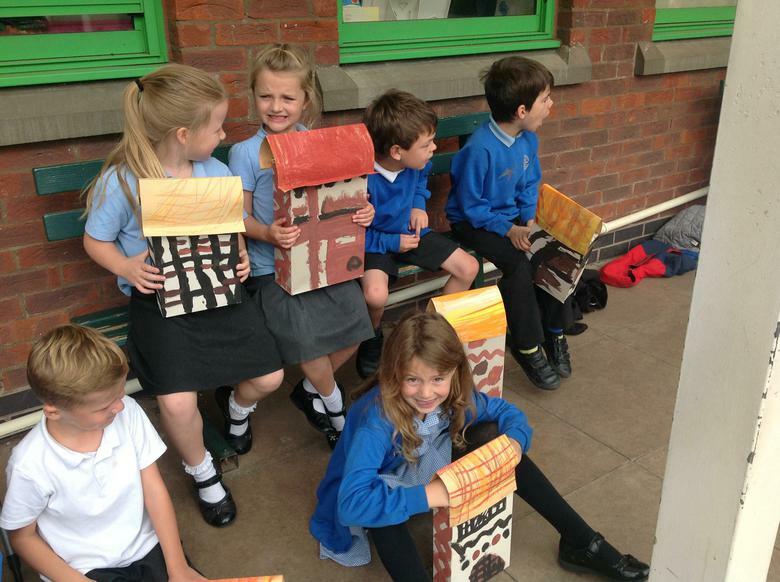 We took our models on to the playground and put them close together (just as the houses were in 1666). 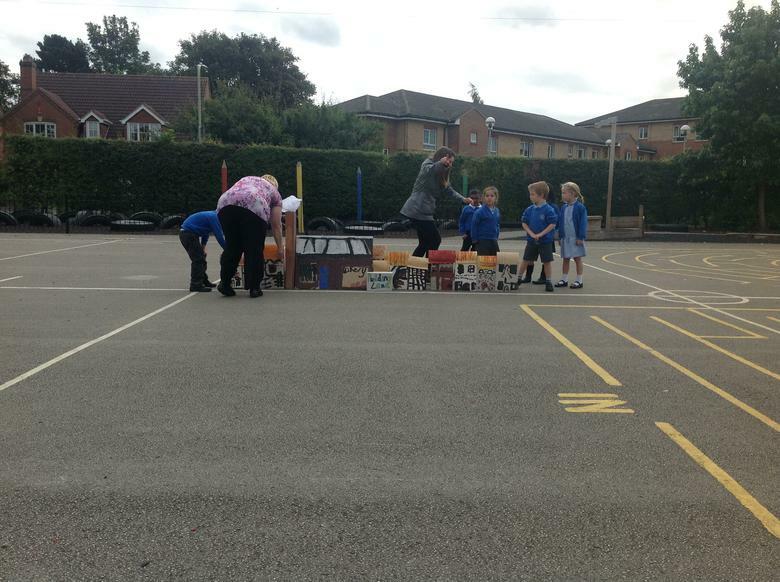 We then stood back as our models were set on fire! 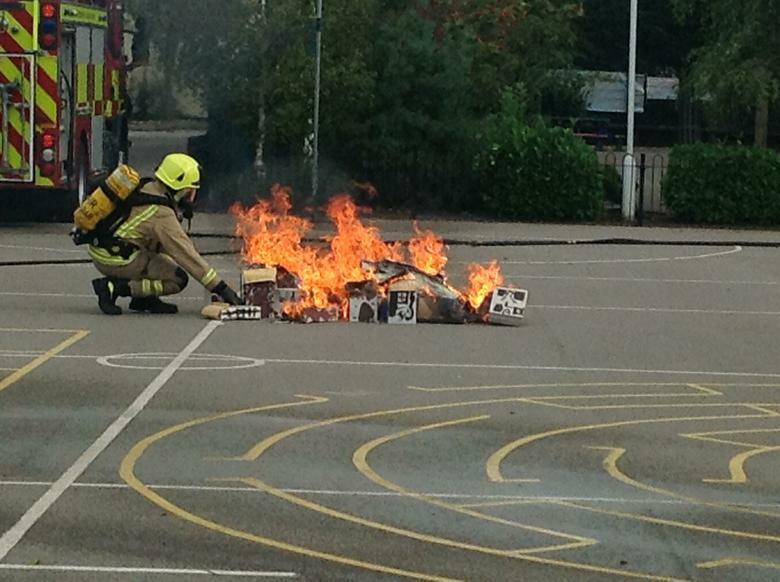 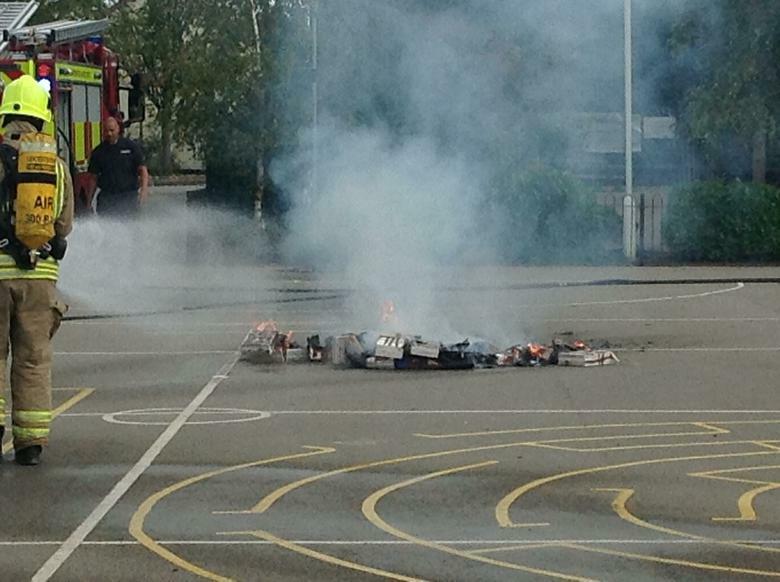 The Great Fire of Loughborough! 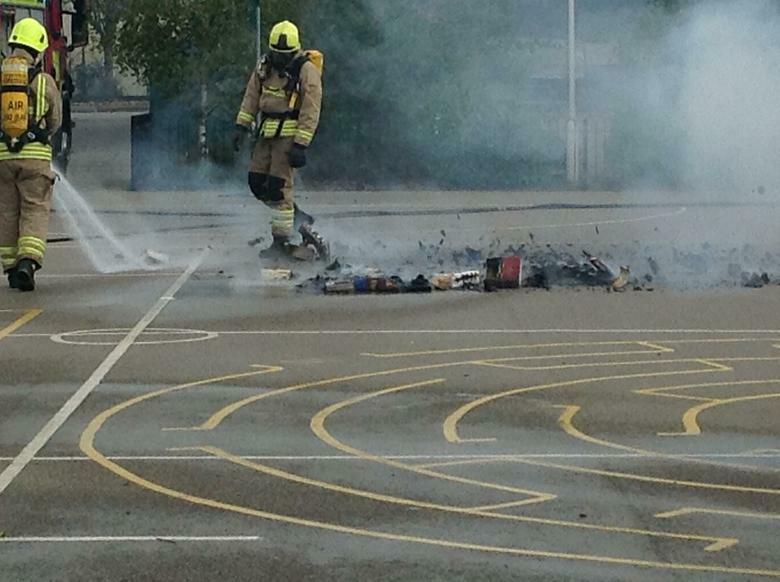 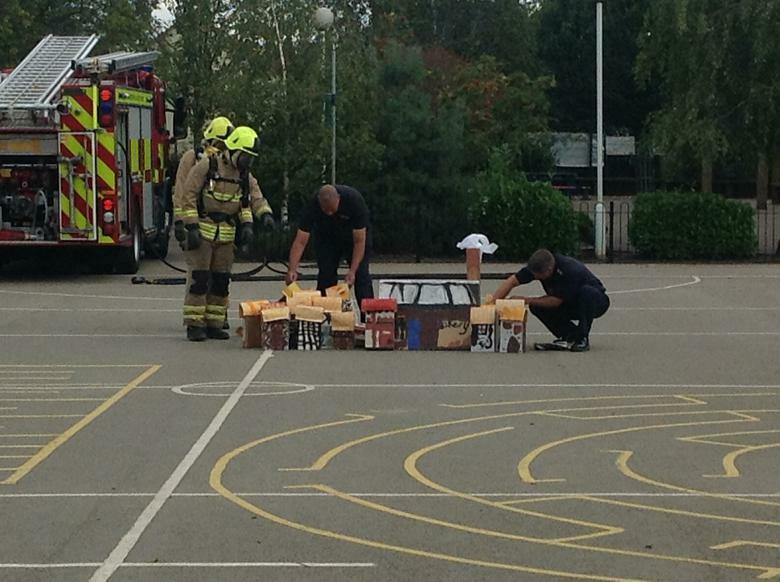 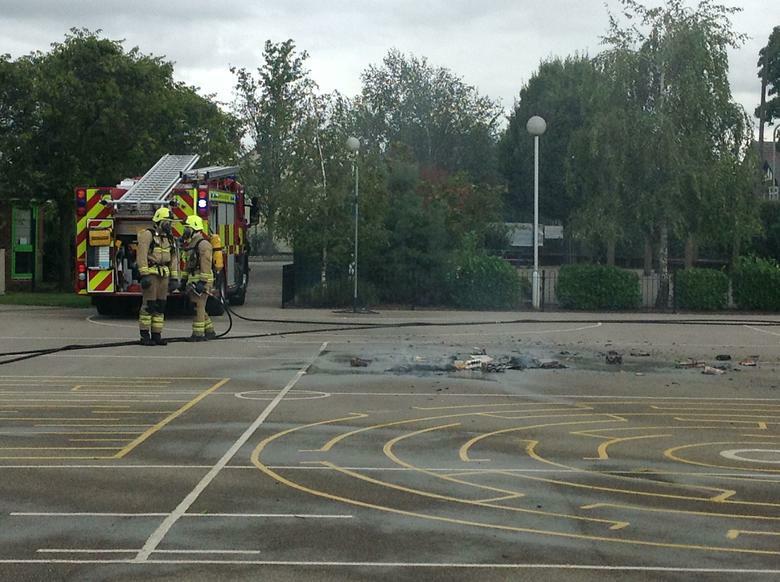 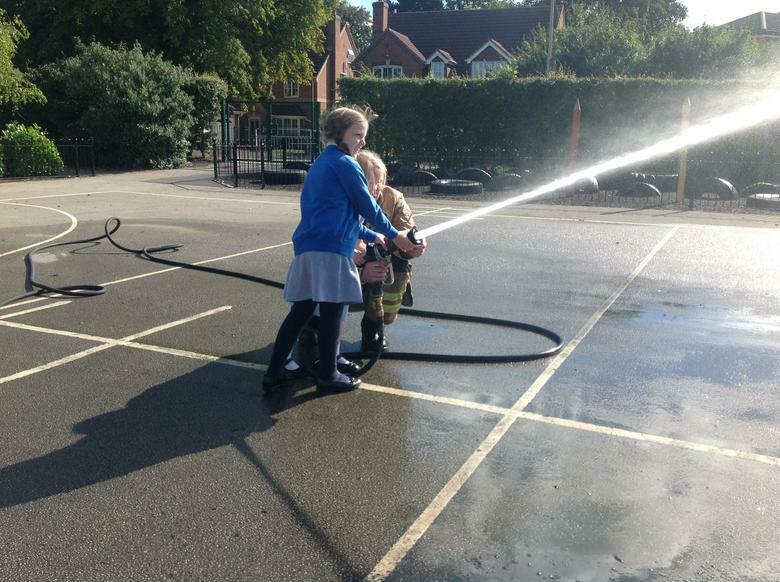 We then watched as the firefighters put it out! 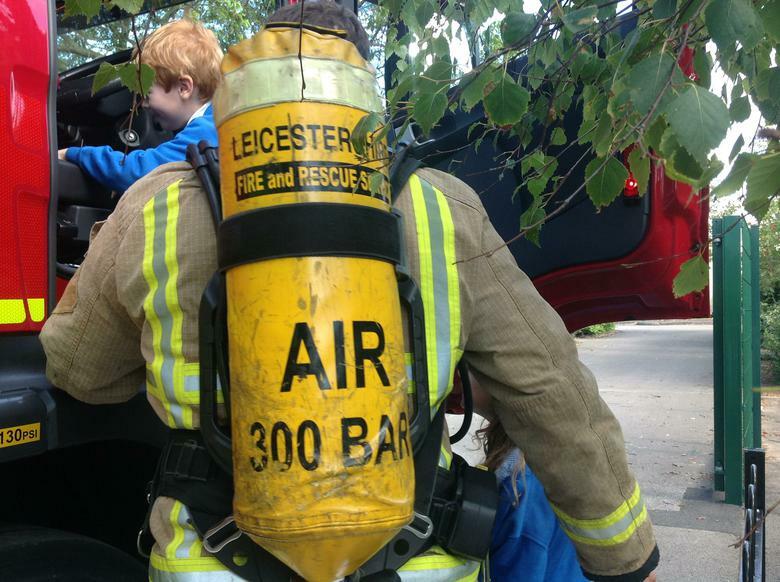 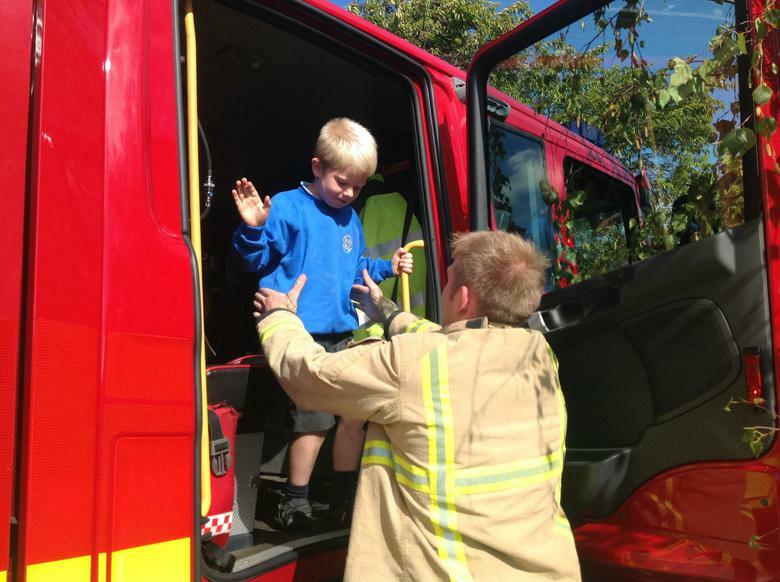 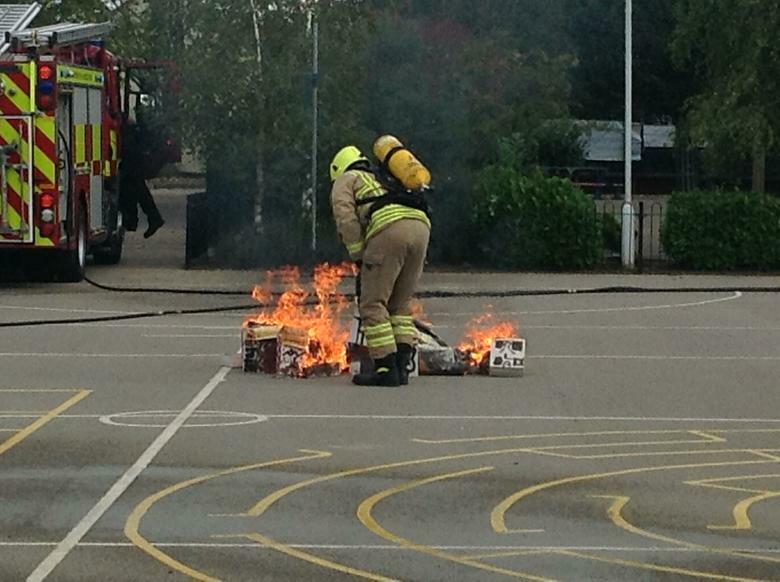 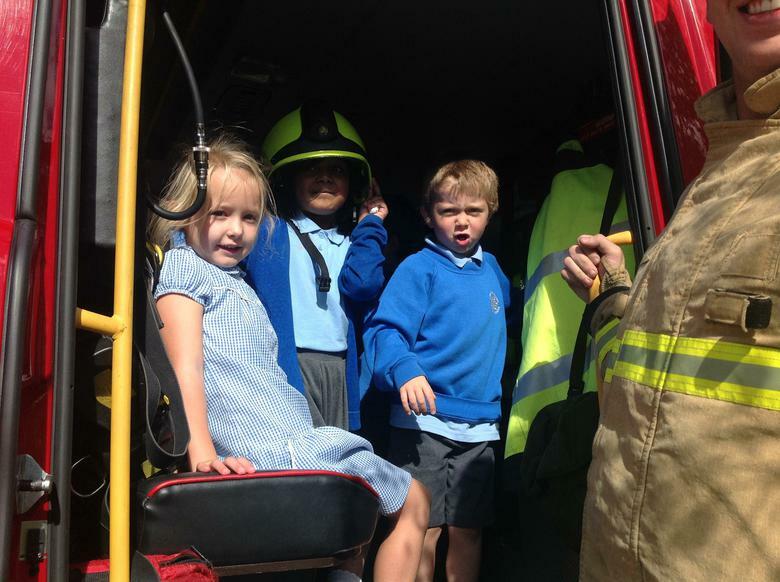 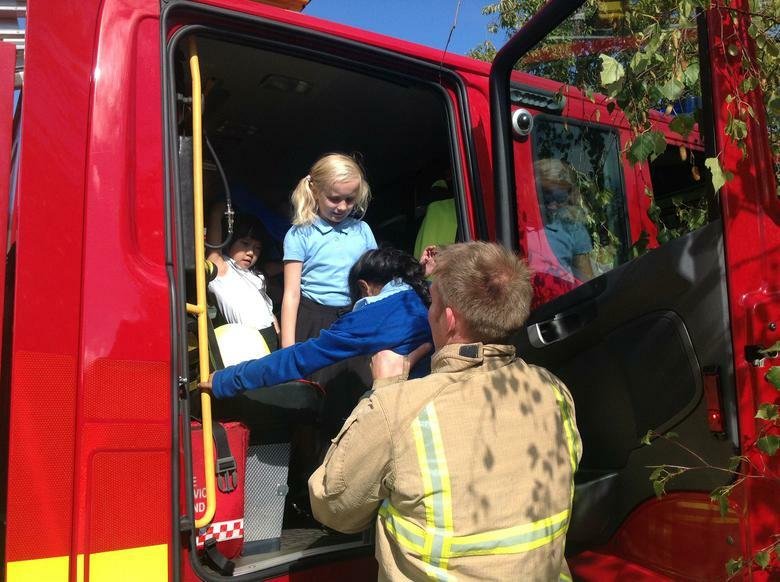 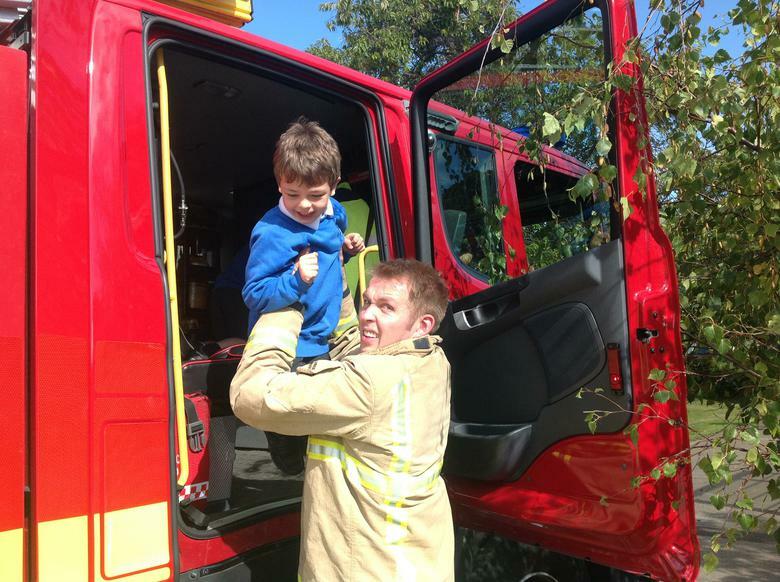 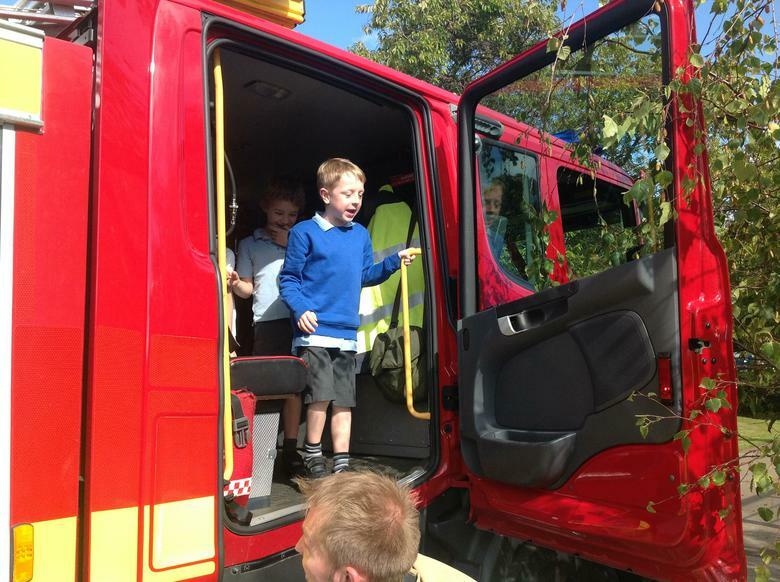 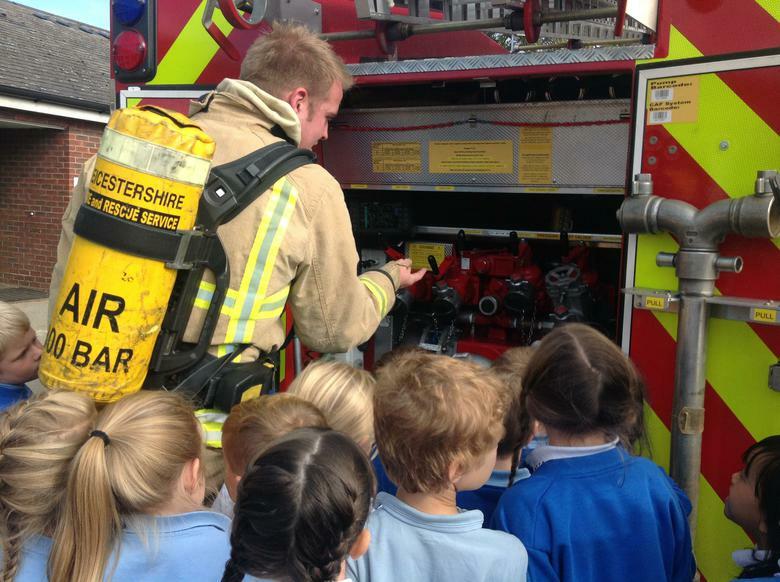 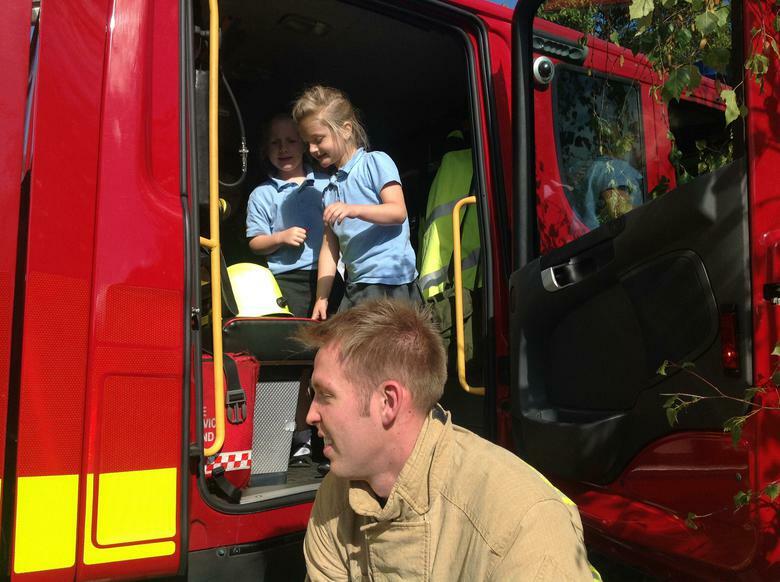 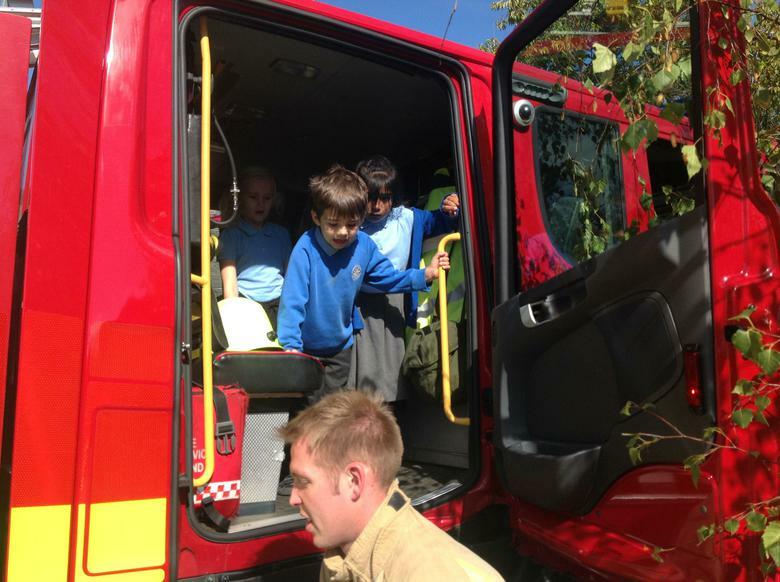 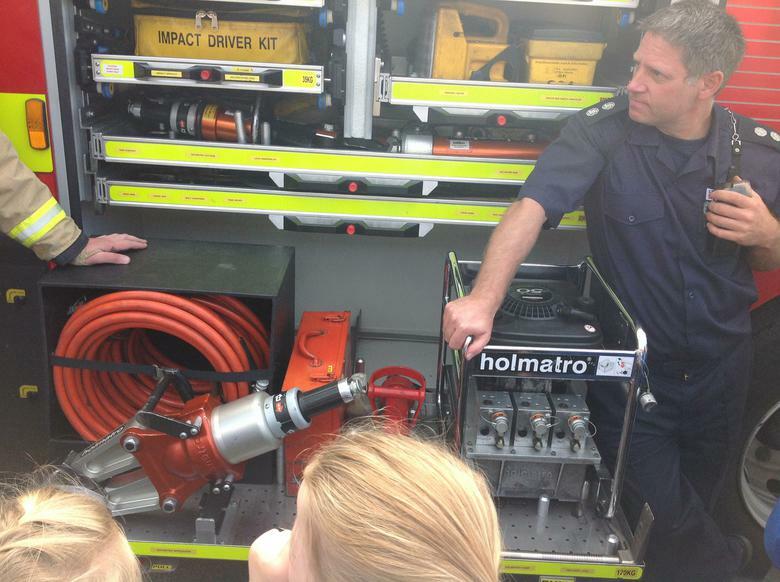 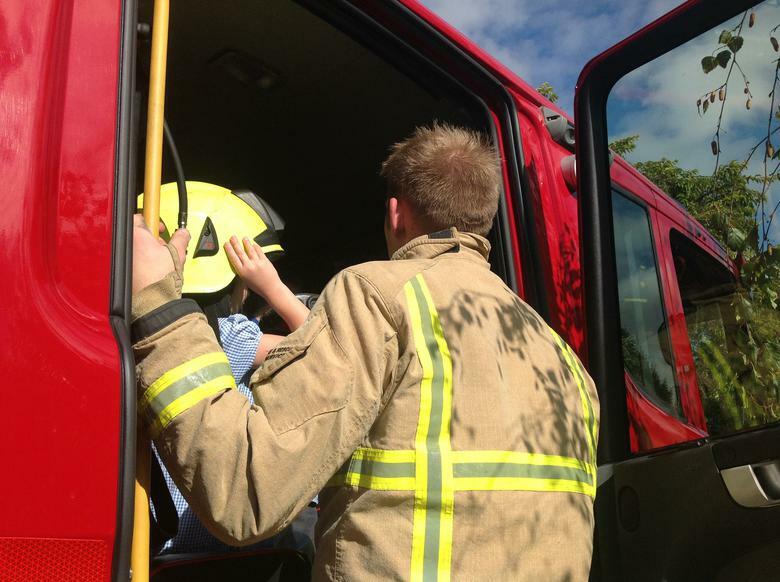 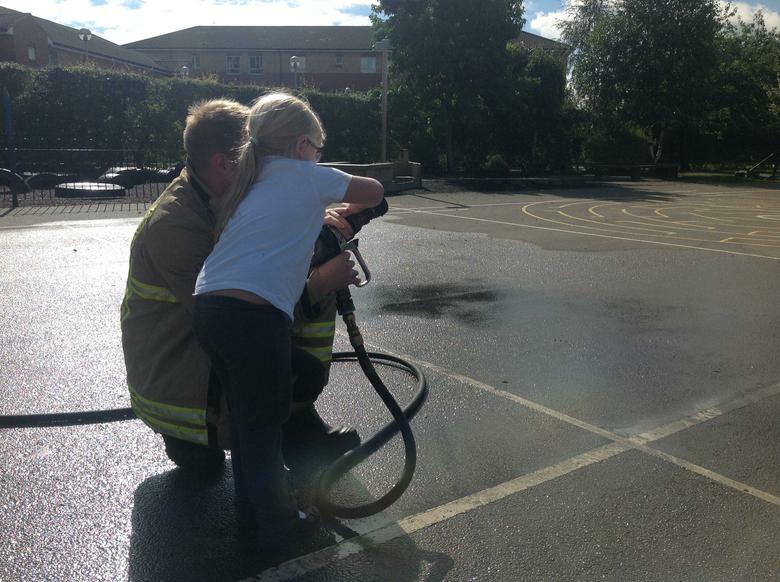 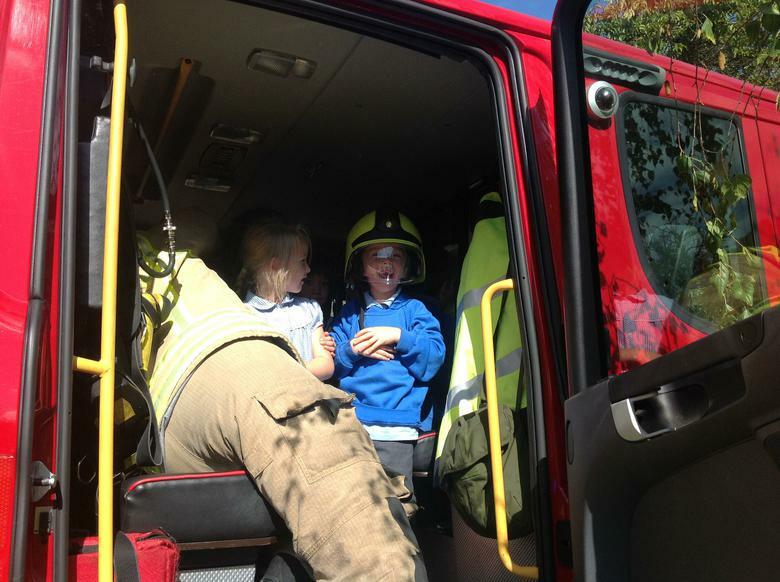 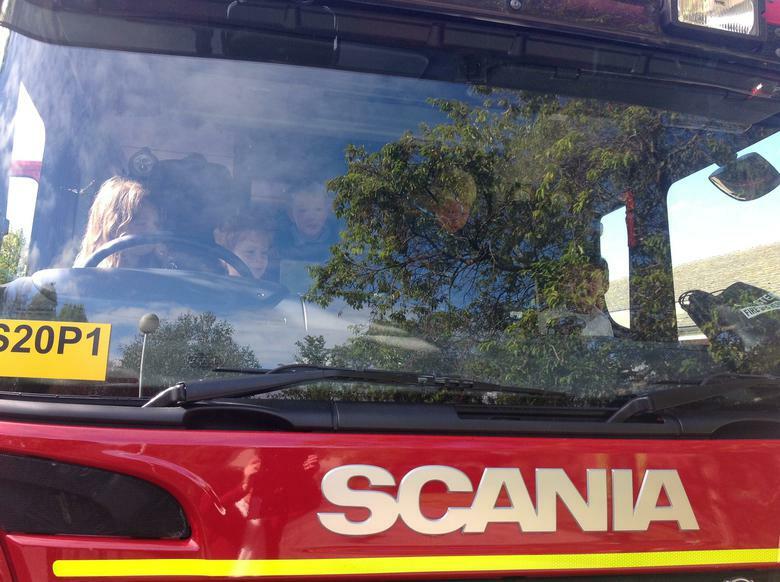 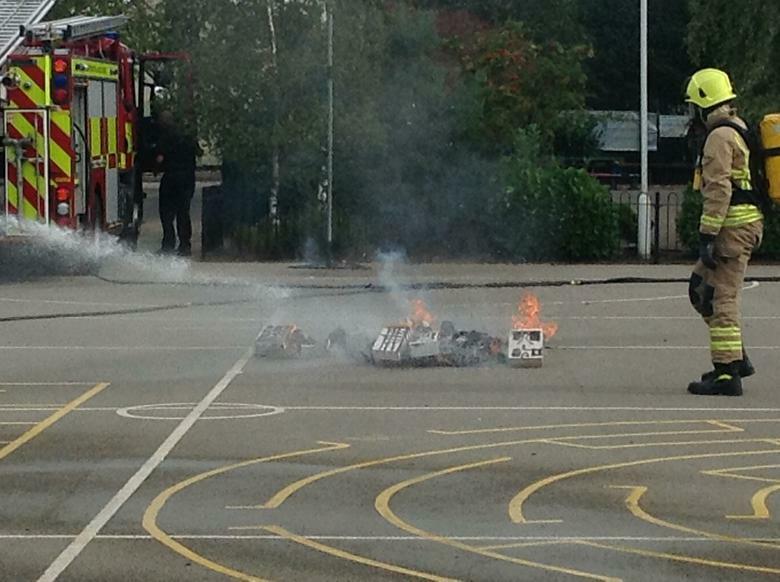 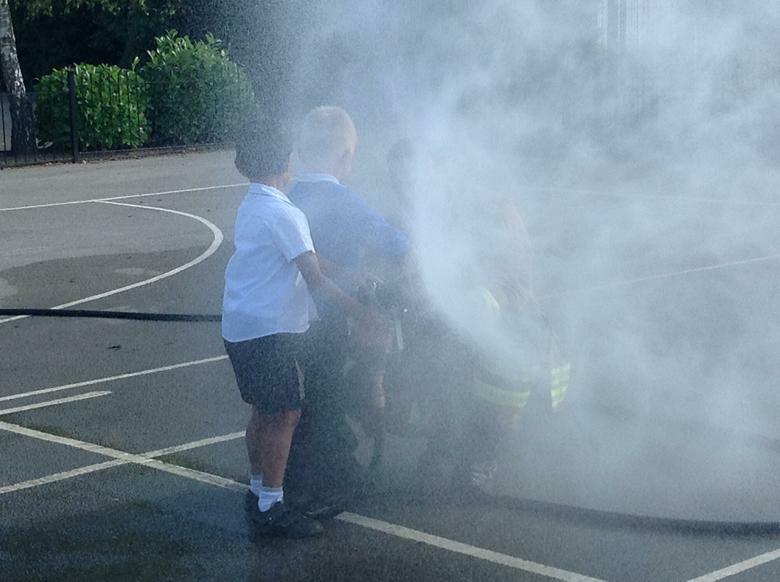 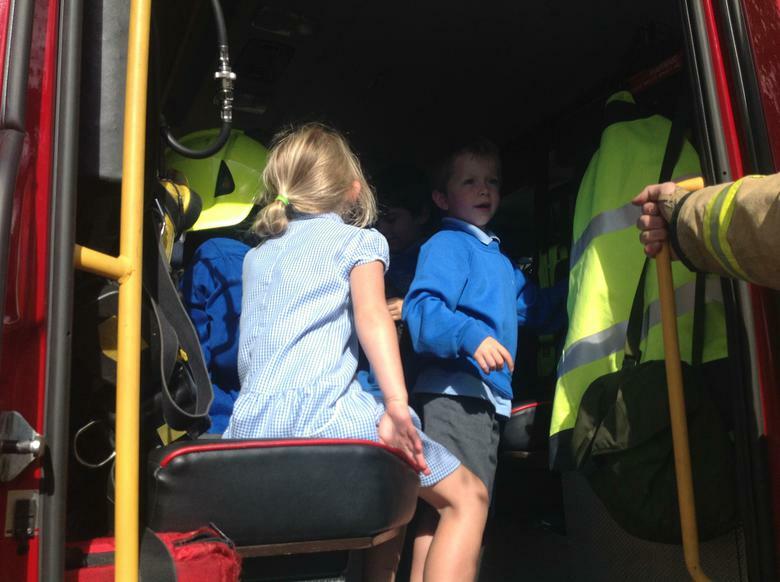 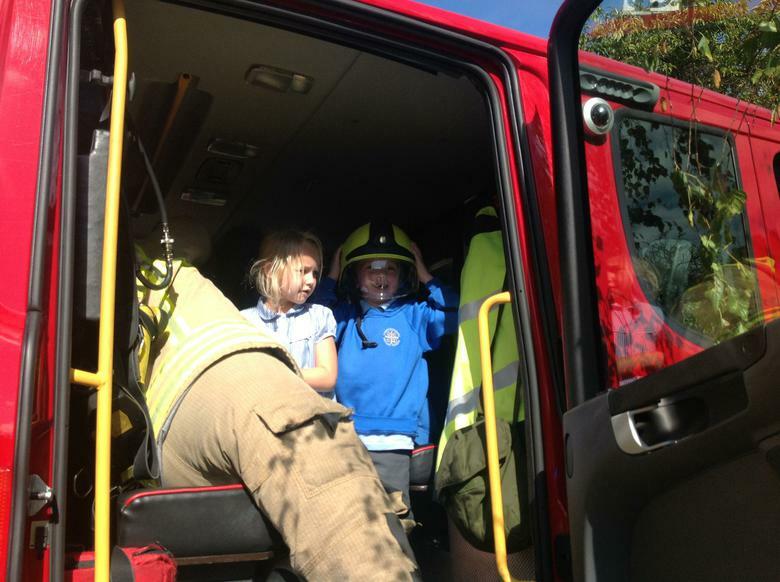 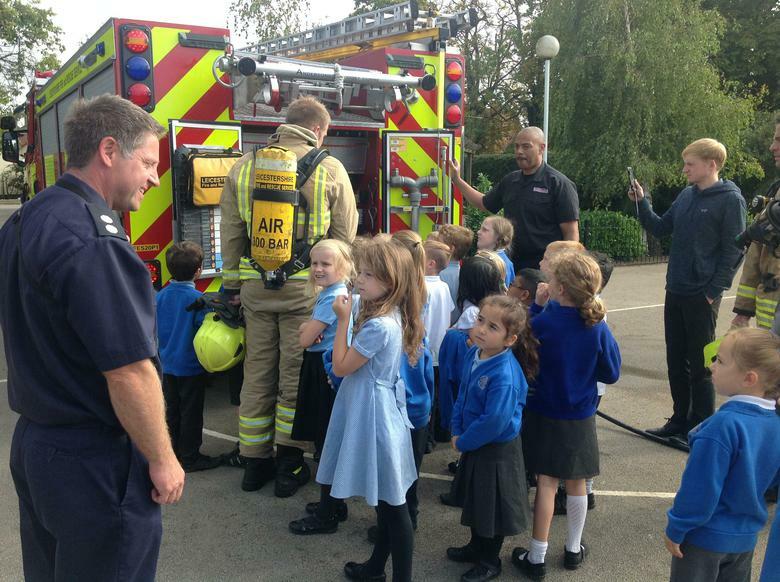 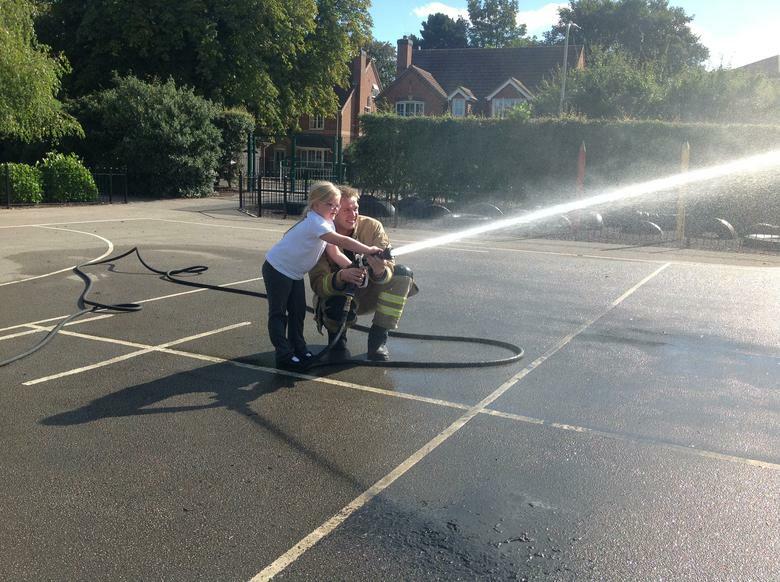 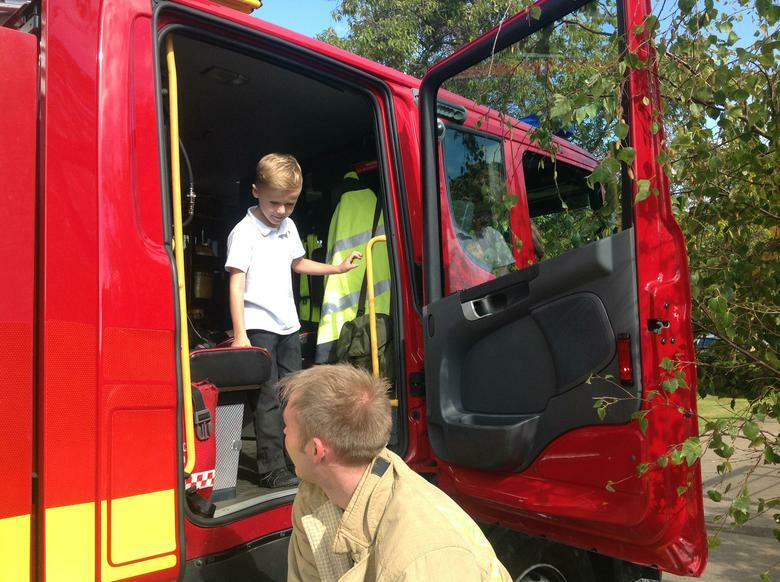 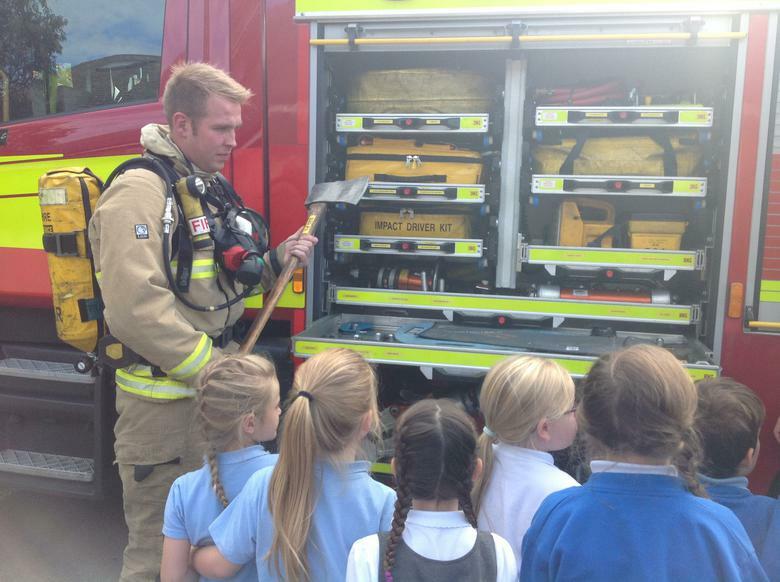 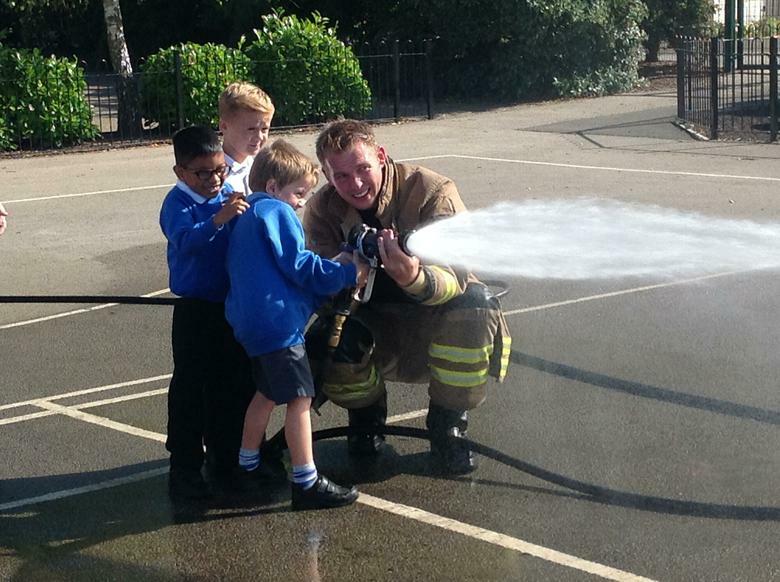 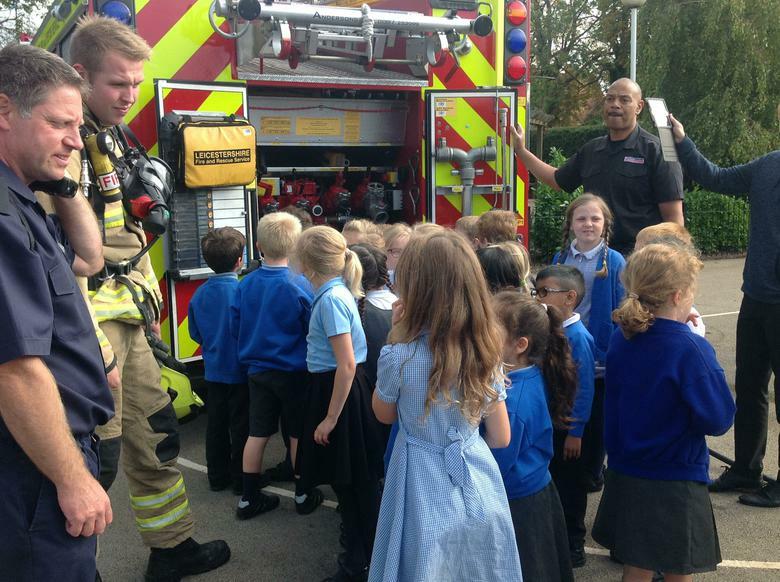 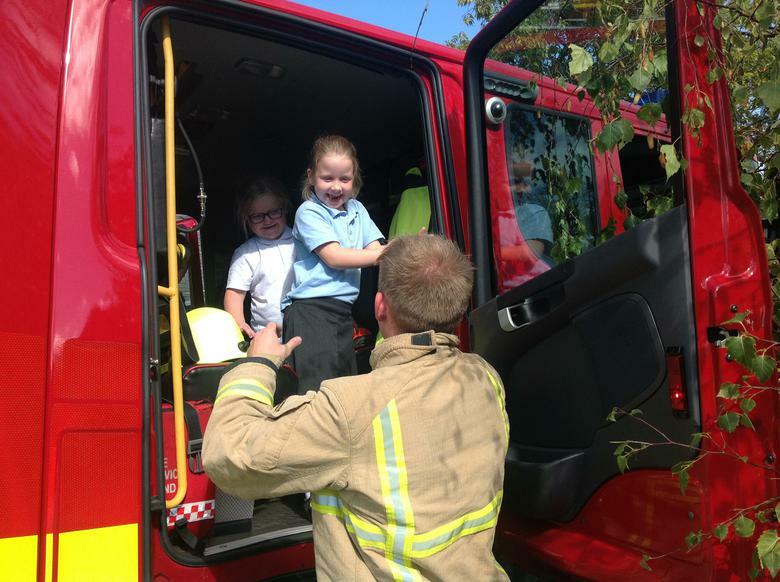 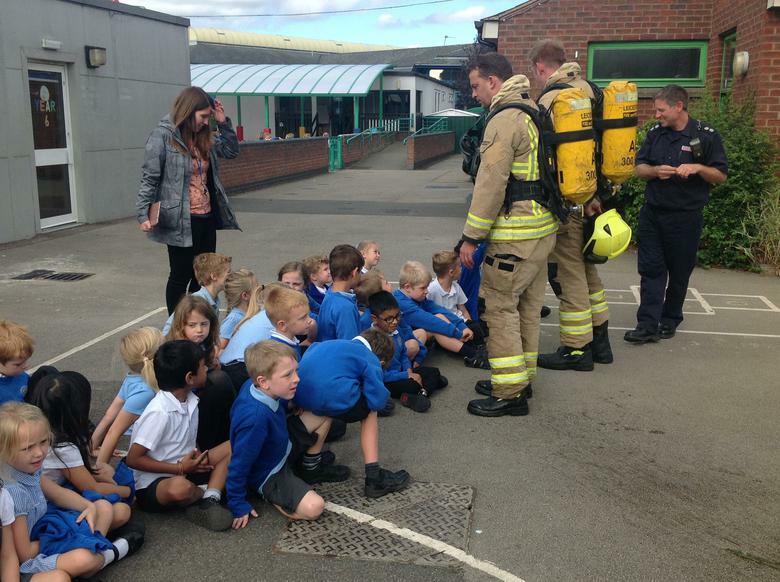 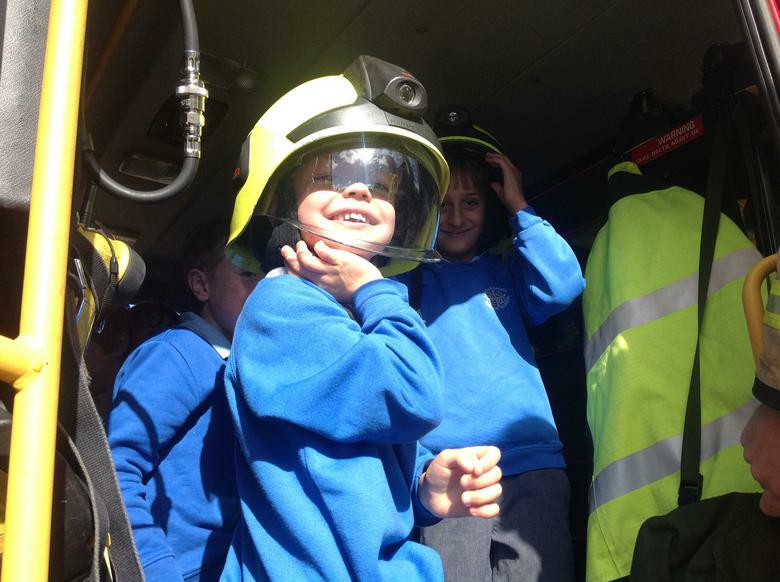 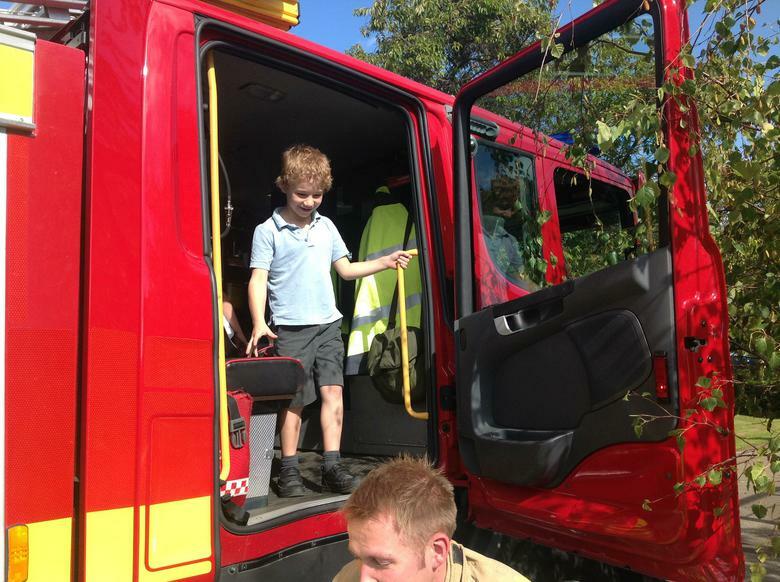 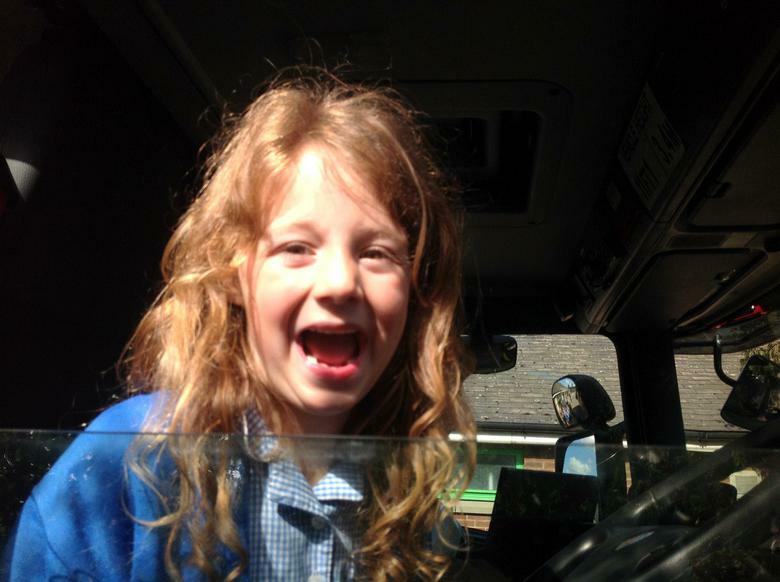 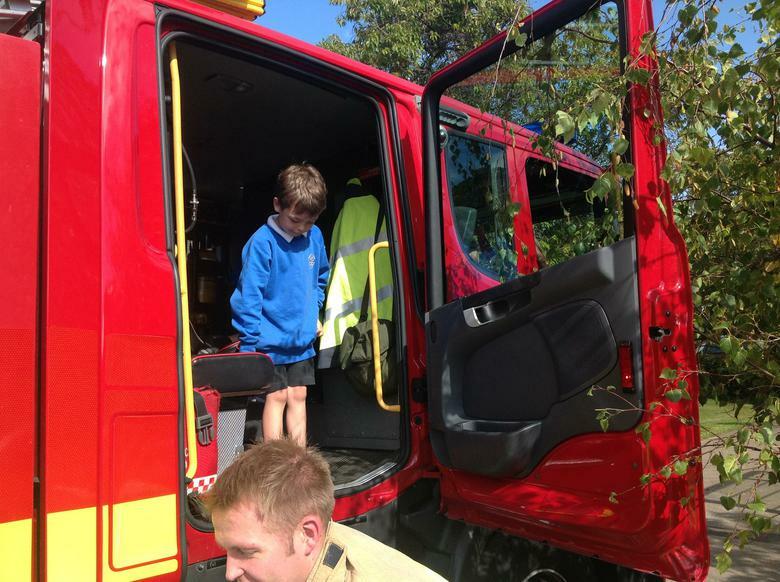 Year 2 were then able to go and sit in the fire engine. 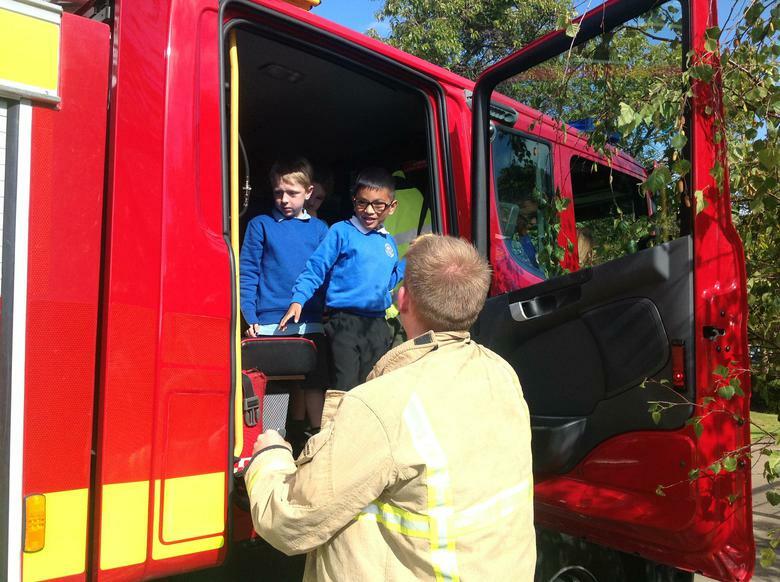 The fire fighters talked to us about how to keep safe and about some of the equipment that they have on the fire engine. 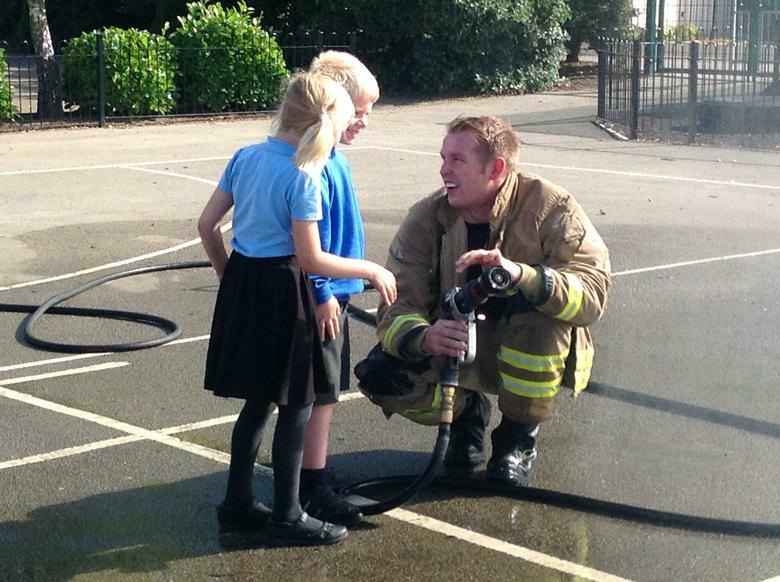 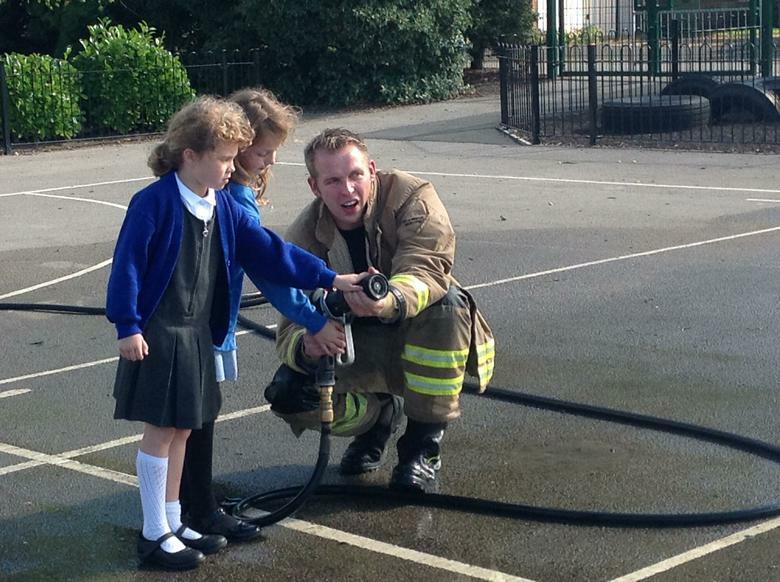 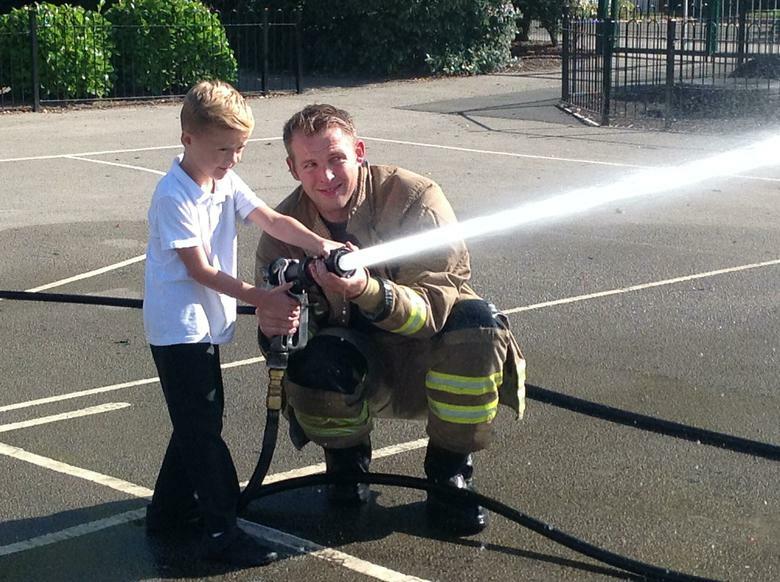 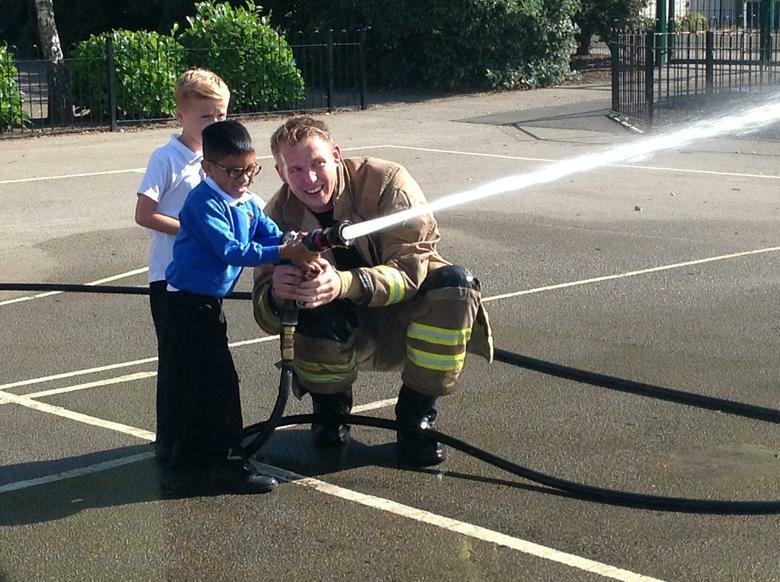 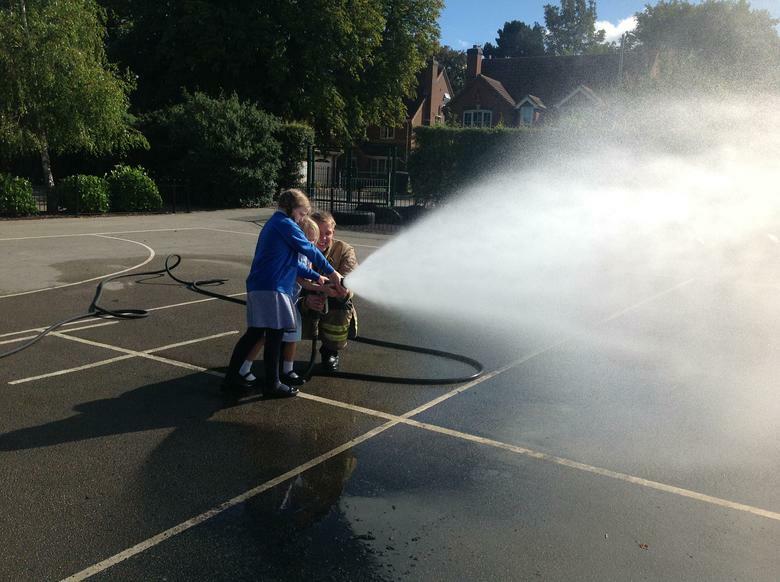 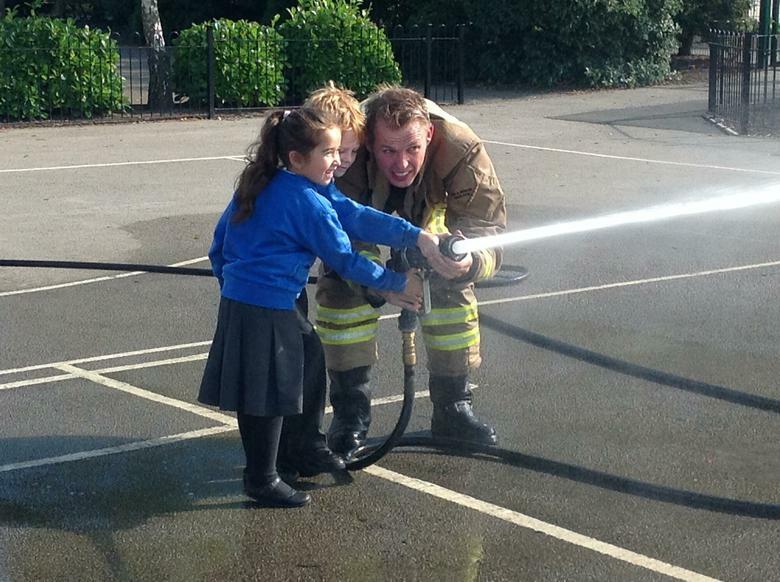 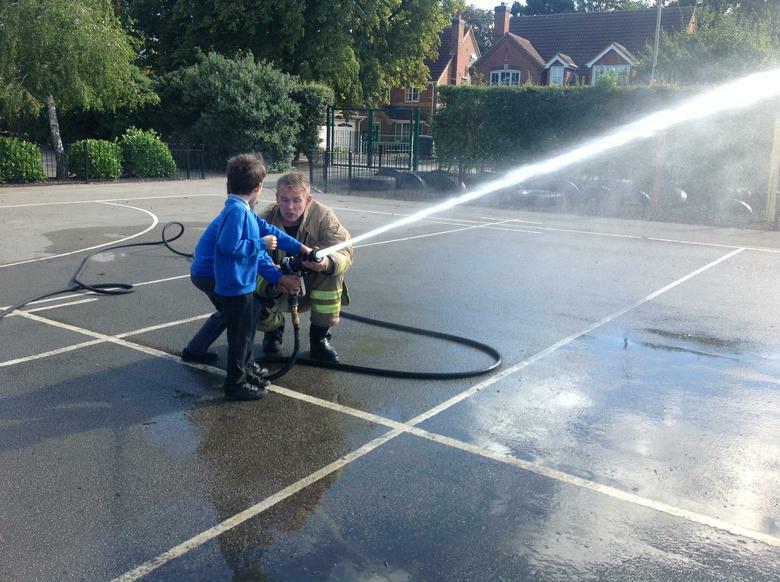 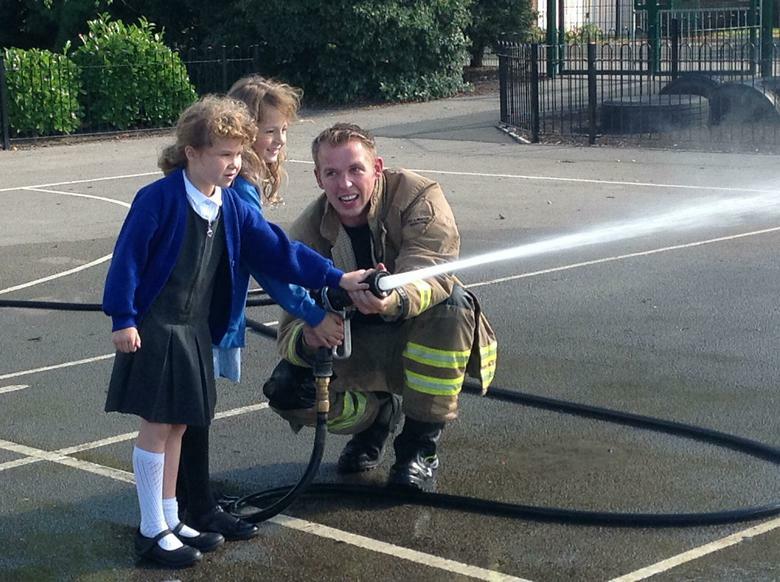 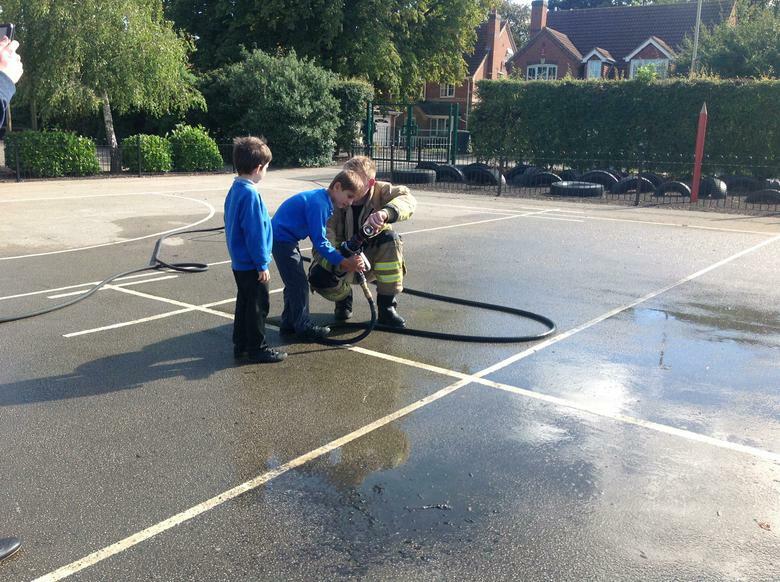 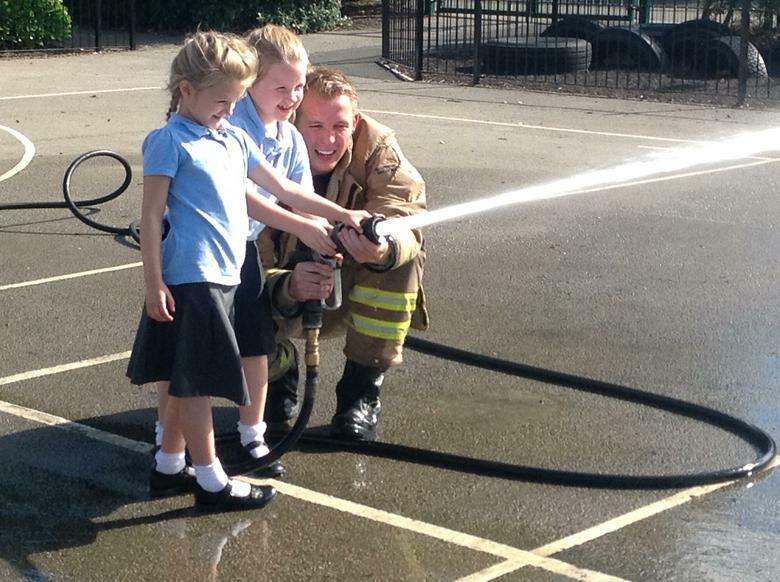 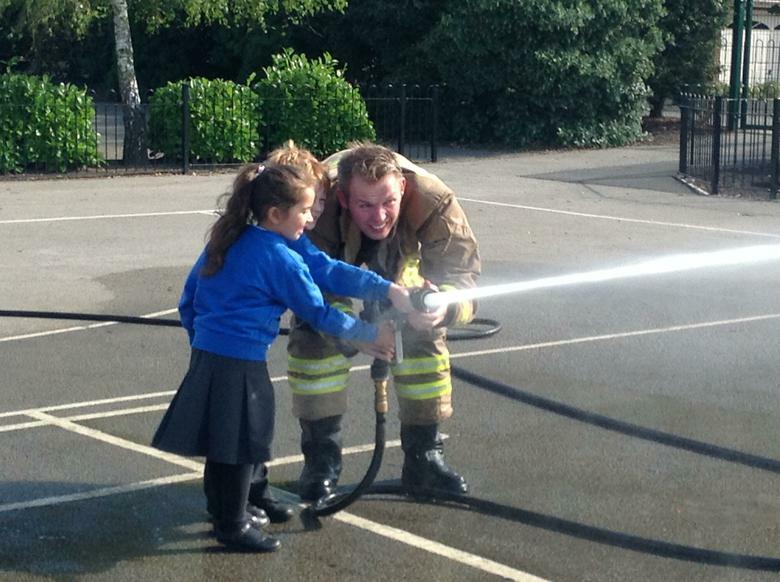 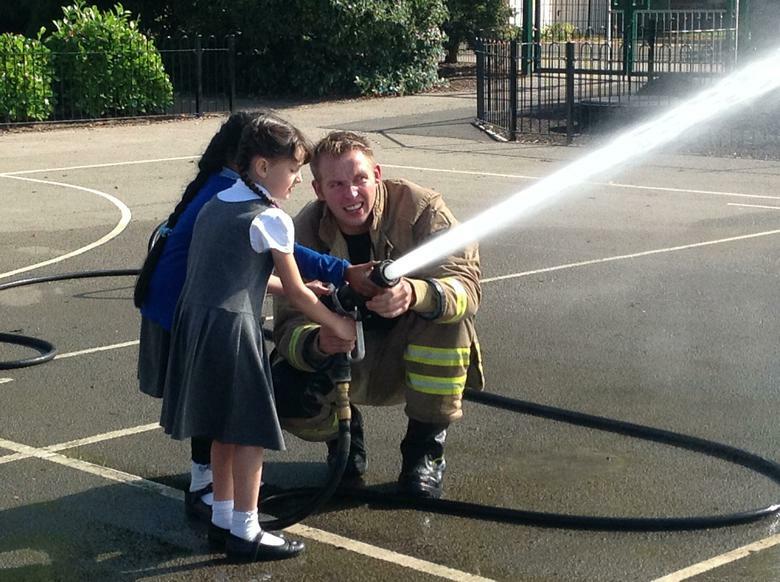 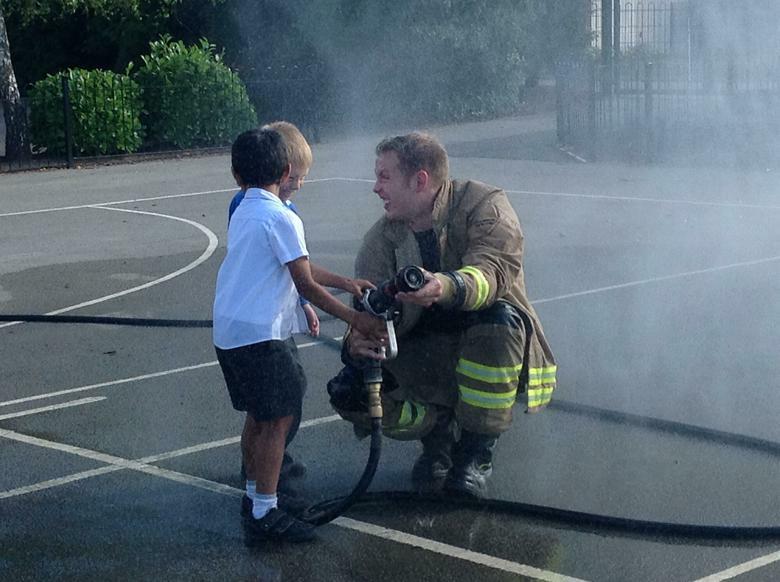 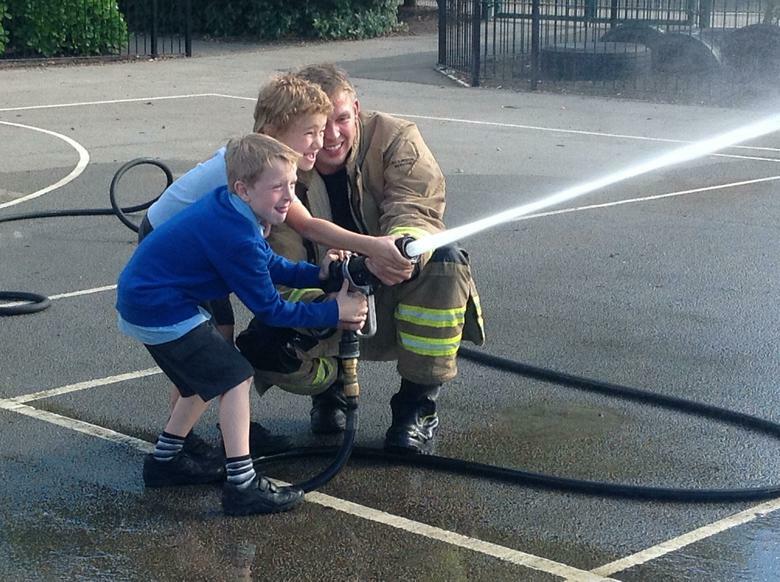 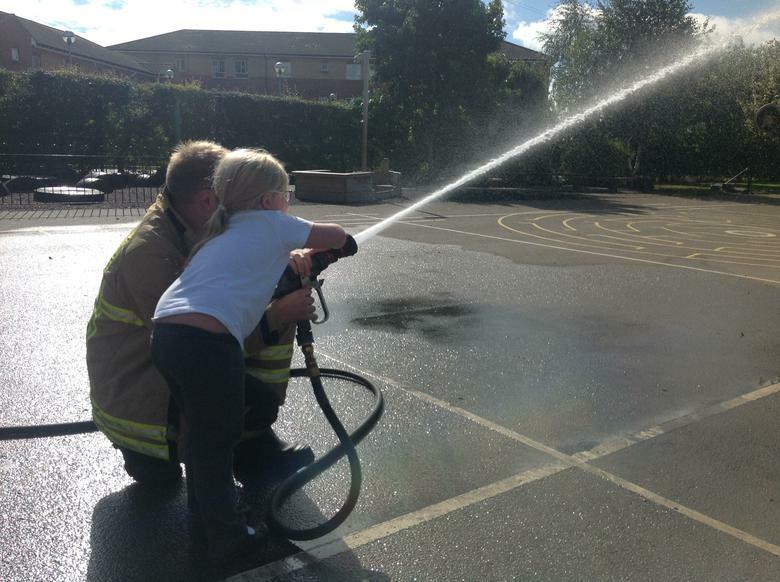 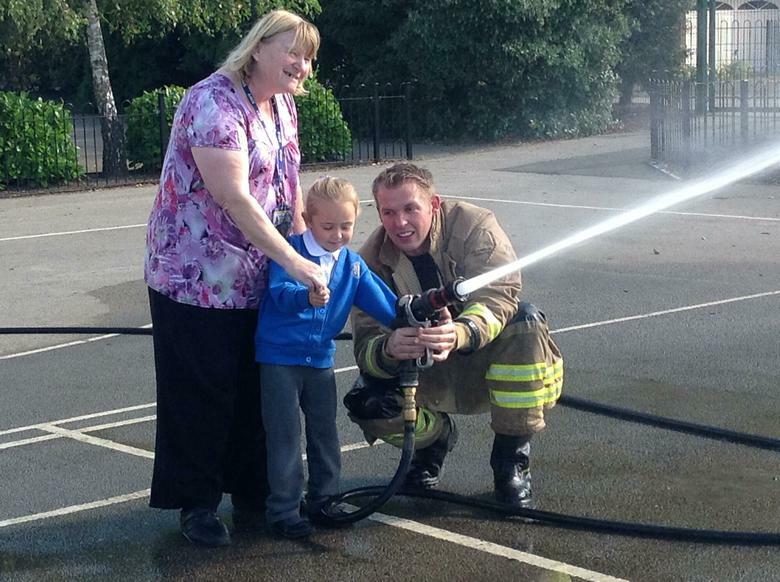 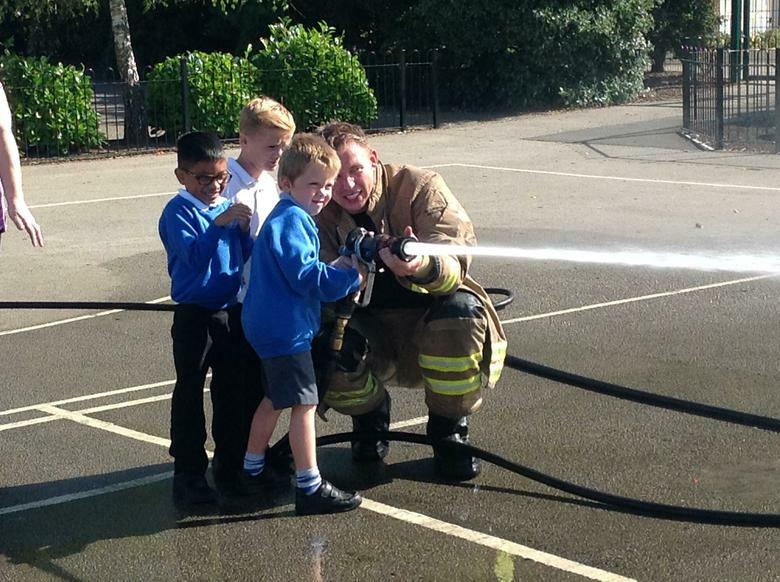 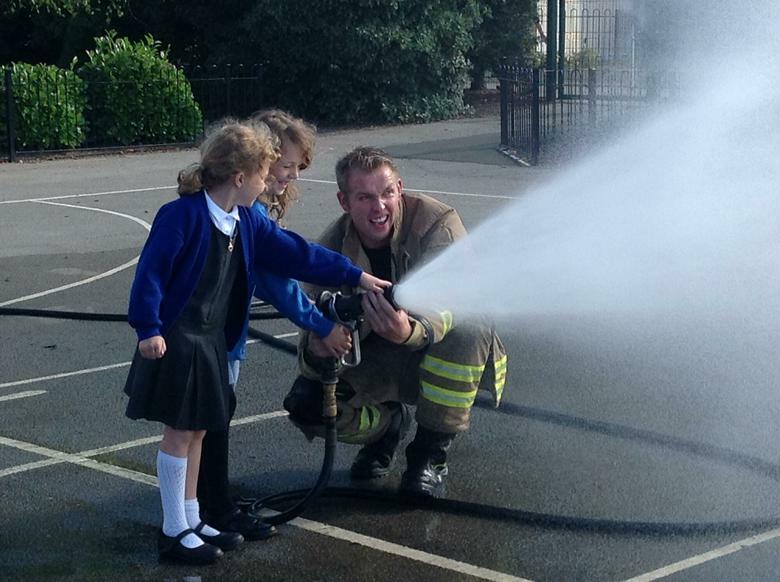 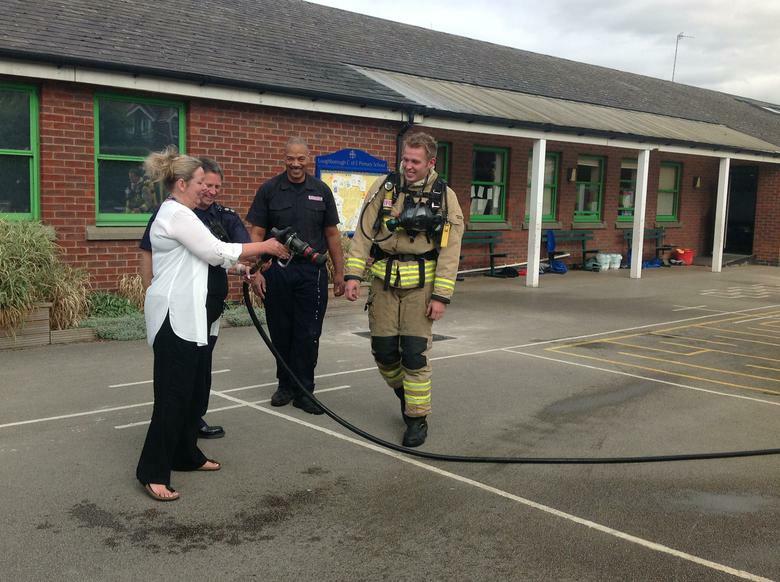 We even got to squirt the hose across the playground. 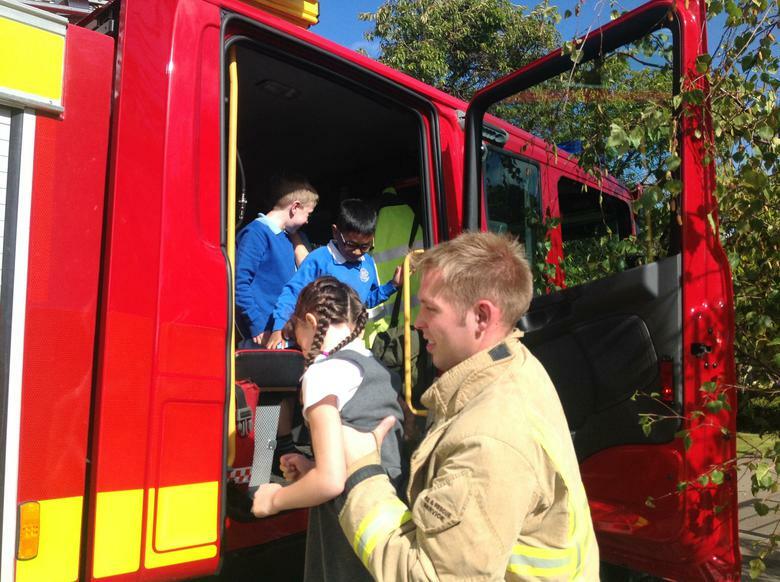 Click on the link below to visit our class page , where you can find more information about the Great Fire of London and other exciting things we learn in class.